Delightfully simple recipe management for everyone: from aspiring cooks to professional chefs. With web importing, grocery lists and meal planning, Paprika is the perfect kitchen companion. 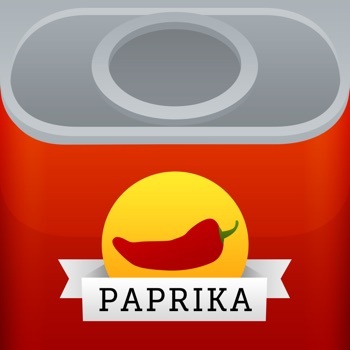 If you love to cook, Paprika will be most useful app you've ever downloaded! • Create and modify your own recipes on any device. • Automatically download recipes from hundreds of websites with a single tap. 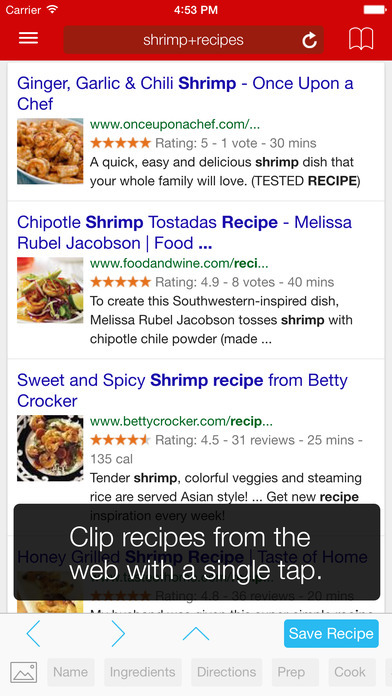 • Integrated browser clipboard tools help you clip recipe information from any website. • Smart recipe view: cross off ingredients when you're done with them, highlight your current step, and keep the screen on while you are cooking. • Tools to help you cook: start multiple timers, pin active recipes to easily switch between them, and scale ingredients to your desired serving size. • Timers are automatically detected in your directions: simply tap on one to start! • Store nutritional information (automatically saved from sites which provide it) and personalized notes for each recipe. • Find your recipes in a flash with our powerful subcategory organization and advanced search tools which let you search by name, ingredient or source. • Intelligent grocery list automatically combines your ingredients and sorts them by aisle. • Use the pantry to keep track of what ingredients you already have. • Save time and money by planning your meals by the week and month! Create reusable menus from your favorite meals. • Print and email support for recipes, grocery lists, and meal plans. Support for multiple recipe print sizes including index cards. 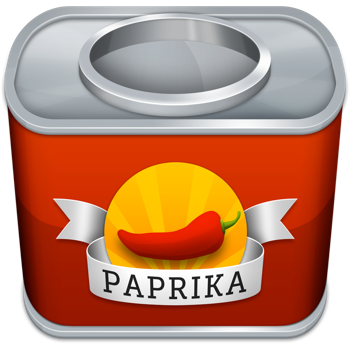 • Share recipes via AirDrop or email (that other Paprika users can automatically import). • Import existing recipes from popular desktop apps such as MacGourmet, YummySoup!, MasterCook & Living Cookbook. • Export your meal plans to iCal and your grocery lists to Reminders. • Manual backup and restore keeps your recipe collection safe. • Offline access. All of your data is stored locally, no internet connection is required to view your recipes. • Paprika Cloud Sync. Keep your recipes, grocery lists, and meal plans seamlessly synced between all your devices! • Bookmarklet. Capture recipes from your web browser straight into your Paprika Cloud Sync account. - Improved compatibility with iOS 10.